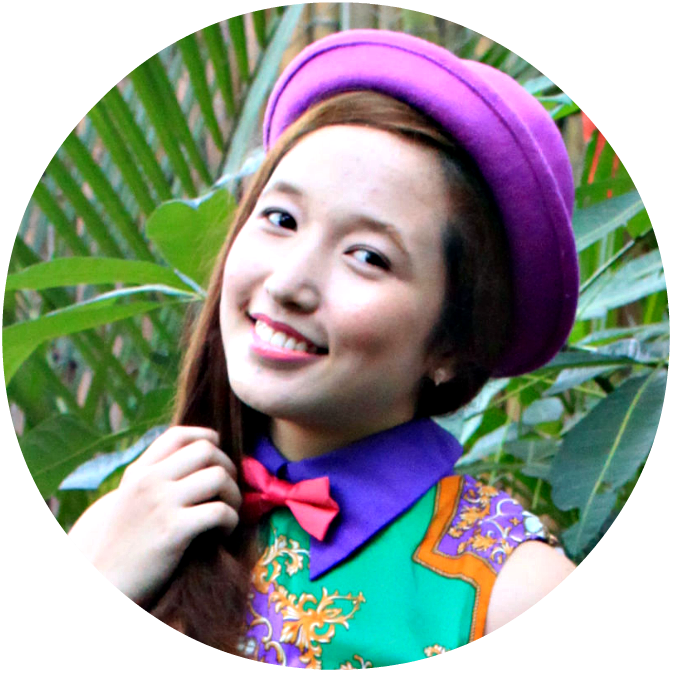 Hoping I am not too late, I will share tonight another event that I have attended last September. You might be wondering why you are seeing a lot of pink this month, not only on this post but everywhere. 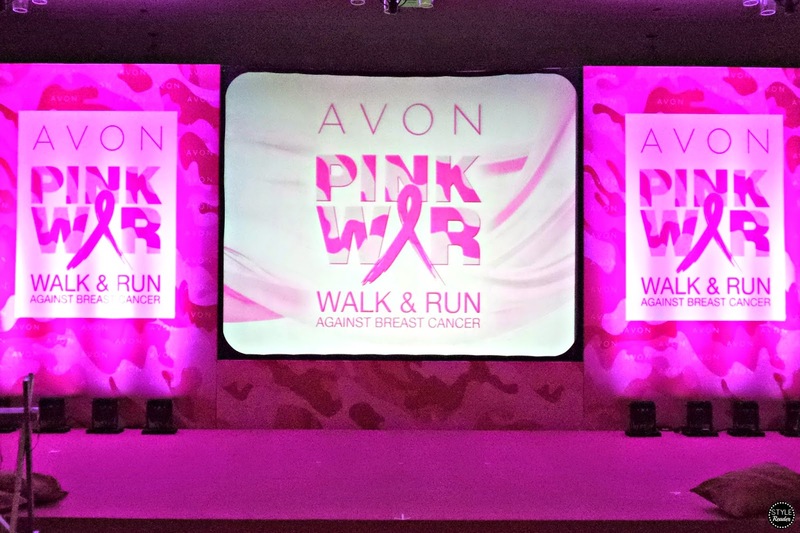 October is actually the month of Breast Cancer Awareness and what better way to spread this movement than to show you what Avon Pink WAR is all about. 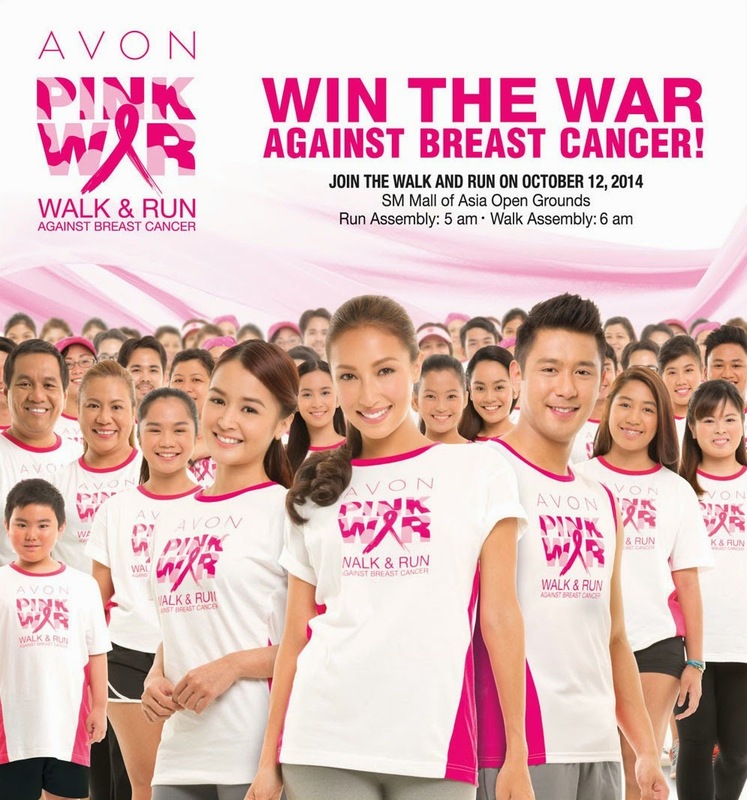 Avon Pink WAR, which stands for walk and run, is a marathon that will be held tomorrow morning. 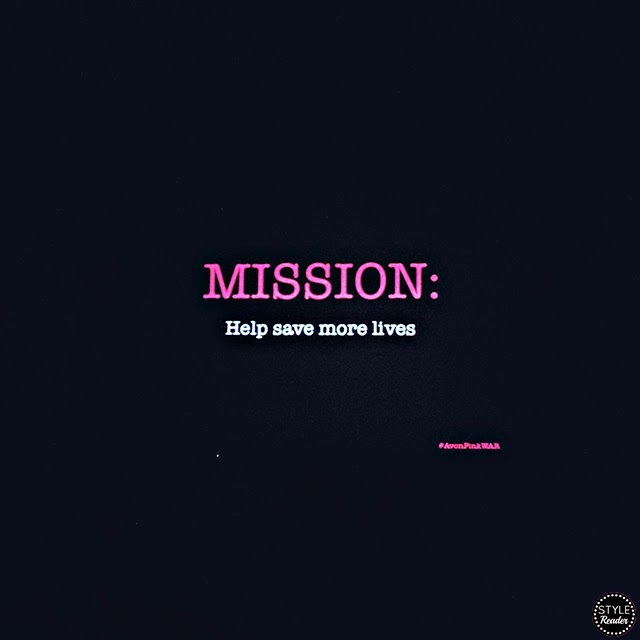 Its aim is to save more lives of women by using an early detection method which you can actually do on your own. The event was military-inspired and I think it was a great way to make a stand or statement. Since we are waging war against breast cancer, we should think pink and parade in camouflages, don't you think? The press launch started with Ms. Julie Tatarczuck, the President and General Manager of Avon Philippines, who gave a brief background about the company's ongoing advocacy. 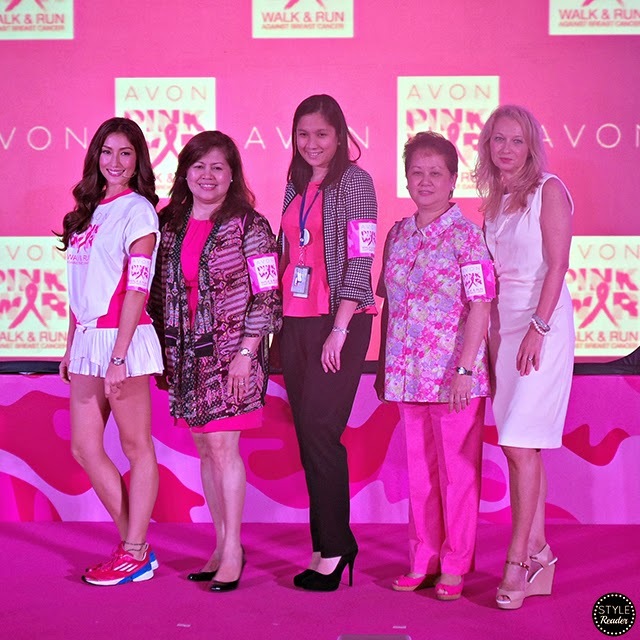 She then called Solenn Heussaff, the Kiss Goodbye to Breast Cancer Ambassador to assist her in giving out arm bands to Avon's partners in this cause. 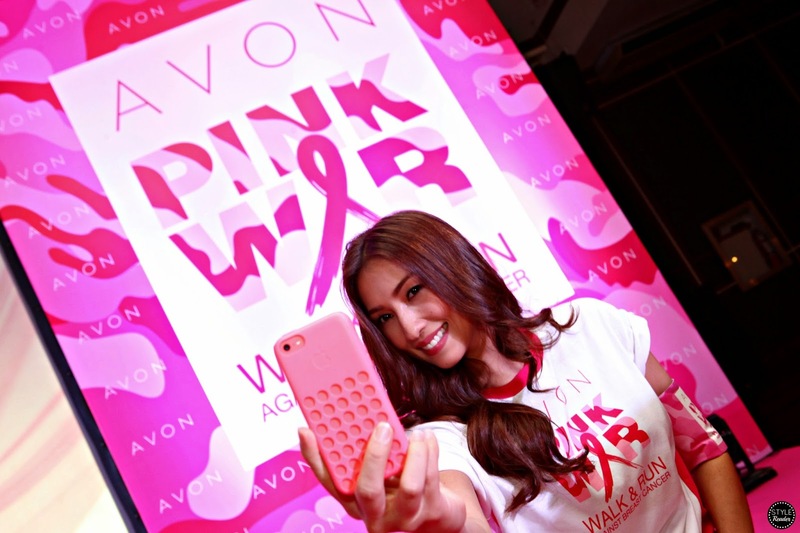 General Solenn Heussaff, as she was called in the press launch to remain in theme, explained the importance of early detection. Solenn was then joined by her sergeants, Kris Bernal and Rocco Nacino to show the guests how to do the Dibdiban dance. After the tutorial, they asked the crowd to dance it with them and everyone really had a great time. I learned that day that early detection is not just a way of preventing it, but it's a way to save more lives as soon as possible.